When Josh Rosenblatt fought his first mixed martial arts match at age 40, he did so as a lifelong pacifist and romantic in search of a new, transformative experience. 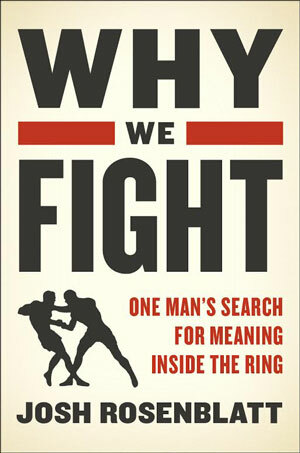 Why We Fight follows his yearlong journey from the gym to the cage as he confronts his most deep-seated fears and tosses away his instincts toward self-preservation for the sake of liberation. More about the book. Josh Rosenblatt is a writer and journalist whose work has appeared in VICE, the Texas Observer, and the Austin Chronicle. Between 2012 and 2014 he was the editor-in-chief of Fightland, VICE Media’s mixed martial arts publication. He lives in Brooklyn.